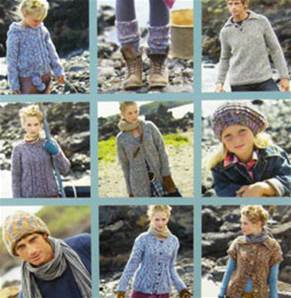 17 designs for men, women and girls featuring tweedie Sirdar Connemara chunky yarn. Includes patterns shown on the Connemara page S9306 - S9313. 24 pages plus photos.